This is an academic project we worked on for a photography class at the Federal University of Sergipe. 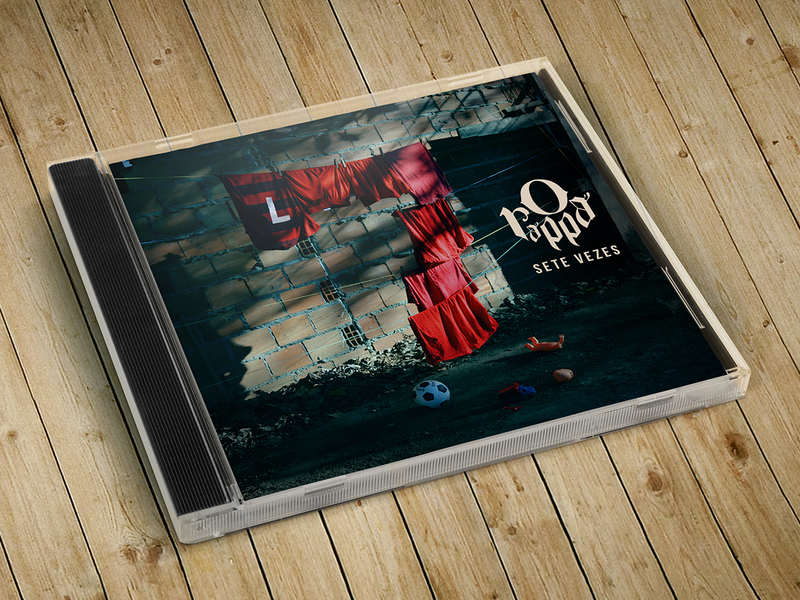 We were assigned to come up with a new interpretation of the CD cover for the album “7 vezes” or “7 times” in English, which is the seventh studio album of the Brazilian band “O Rappa”. O Rappa combines different music styles such as rock, hip-hop and reggae. Their lyrics are best known for criticising social problems in Brazil, and issues like poverty and criminality are examples of frequent subjects in their songs. Specifically in this album, they meant to represent faith as a means people who are going through hard times in life have to keep themselves moving forward regardless of their difficulties. Our scope was to develop a scenario that could capture and represent a typical situation in the lives of people who live in poor communities, more specifically in Brazilian “favelas”. Therefore, we decided to focus on the number seven, one that represents the perfect number for some religions, most commonly in Christianity. The scenario we came up is a representation of a traditional backyard in favelas: the wall with exposed bricks, cheap and simple toys left on the floor, and clothes put to dry on clothelines. We intentionally arranged the clothes to simulate the number seven, with a predominance of the color red, which represents things like blood, danger, and emergency, strengthening the concept we wanted. Academic project for the class of Photography at the Federal University of Sergipe. 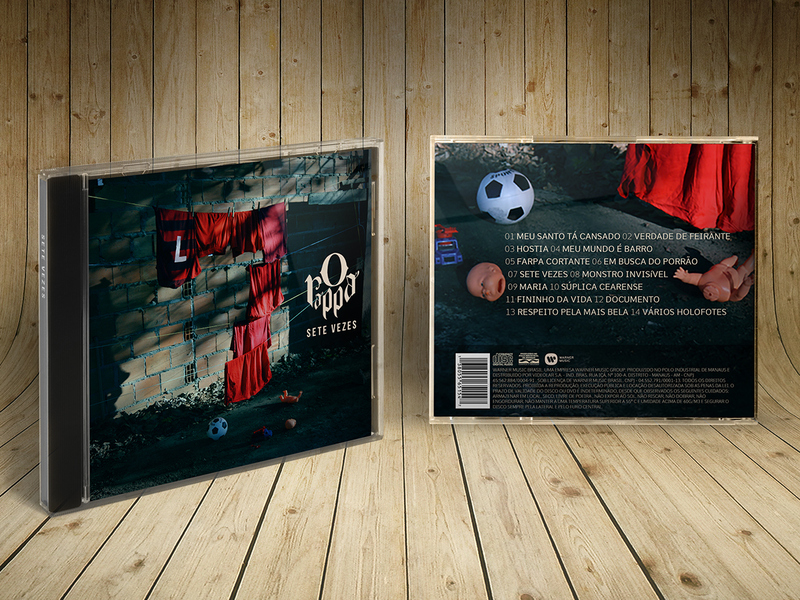 We were assigned to have a new interpratation on the CD cover of the album "7 vezes (7 times)", from the brazilian band "O Rappa".